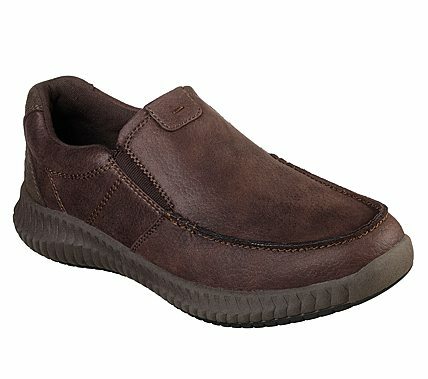 Get that smooth refined look with enhanced flexible comfort in the SKECHERS Brendo - Eldon shoe. Smooth textured microfiber fabric upper in a slip on casual comfort loafer with stitching and overlay accents. Air Cooled Memory Foam insole, flexible midsole.